Los Angeles County also seeks to install 200 boatlifts in an effort to meet copper pollution mandates. MARINA DEL REY — Los Angeles County could soon be cracking down on hull cleaning practices at Marina del Rey and installing boatlifts across the harbor in an attempt to limit the amount of copper sediment found in local waters. The county’s Small Craft Harbor Commission discussed parallel proposals to institute best management practices for hull cleaning services and install as many as 200 boatlifts in the harbor. Such policies are being sought to meet a county mandate to reduce copper loads in Marina del Rey’s waters by 85 percent by 2024. The mandate is part of a Total Maximum Daily Load (TMDL) restriction adopted by county officials in 2014. Michael Tripp, the planning chief with Los Angeles County’s Department of Beaches and Harbors, stated respective proposals for a boatlift and hull cleaning certification program are two elements of a larger effort to reduce copper levels in Marina del Rey. Tripp added the current mandate doesn’t call for an outright ban of copper in Marina del Rey’s waters. Boaters, boatyards and marina operators are instead in a position to be creative in finding ways to limit the amount of copper they would allow into local waters. Department of Beaches and Harbors staff proposed requiring hull-cleaning professionals be certified in Best Management Practices, or BMP, to ensure divers are taking proper steps to limit copper pollution in Marina del Rey’s waters. Maral Tashjian, a planner with Department of Beaches and Harbors, said 94 percent of dissolved copper is from passive leaching from copper-based hull paints. The other 6 percent comes from hull cleaning activities. Certification would require divers to be trained, through a workshop, in such a manner as to limit the amount of copper released into the water during cleaning. Tashjian added boat owners, facility operators and leaseholders could be found jointly liable for any cited violations occurring on official property. Winward Yacht Center General Manager Simon Landt applauded the county’s effort to mandate copper reduction efforts but expressed concern about enforcement and regulation of independent divers. Landt suggested the county should issue diver identification cards or take steps to make sure individuals are indeed certified. 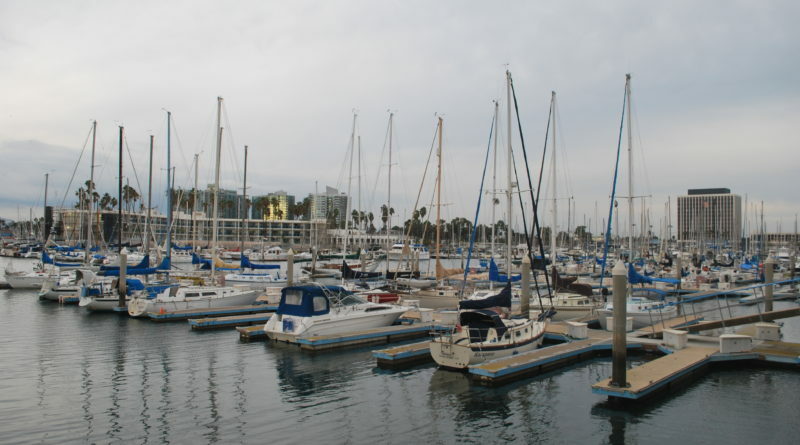 Many divers in Marina del Rey are associated with and insured by companies offering hull-cleaning services. Regulating independent divers who might not be certified or insured could prove difficult to enforce, Landt said. “How do we actually enforce [the proposed ordinance] in the marinas? Who is going to be responsible for that? Is it going to be the dockmasters? Is it going to be the Sheriff’s office? Who is actually going to look at these hull cleaners and check on their validation,” Landt asked. County staff replied divers would be required to update their identifications to indicate they are fully certified to perform hull-cleaning activities. The proposed ordinance is still in the process of review and would still have to be scrutinized by the California Division of Boating and Waterways and Los Angeles County Board of Supervisors. A similar ordinance exists at Santa Barbara Harbor. Also under consideration by Department of Beaches and Harbors is a boatlift program, which could assist local boaters in reducing copper loads entering the water. Los Angeles County was awarded a $400,000 grant to subsidize the initial purchase of boatlifts. “The goal of the program is to reduce … copper pollution from boat hull paints by providing lower cost boatlifts to the lessees and the boaters,” Waite told commissioners. County officials have partnered with The Bay Foundation to subsidize the boatlift program in Marina del Rey, according to Waite. The boatlift program would start off with operate out of Anchorage 47. Waite said the county’s goal is to expand the program to include up to 200 boatlifts throughout the harbor. Owners of 25- to 35-foot vessels are primary users of boatlifts.